We’ve got two tickets to giveaway to next month’s BrightonSEO conference, which takes place on Friday, 27th April 2018. 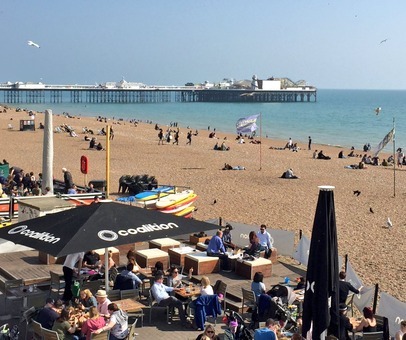 If you haven’t heard of BrightonSEO, it’s a huge twice-yearly event, attracting over 3,000 people. The organisers say it’s probably the largest SEO event in Europe and maybe the world! It’s a must-attend event for marketing professionals and those interested in content marketing and Search Engine Optimisation (SEO). 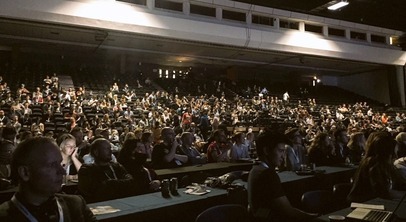 The event originally started with a few people meeting in a local pub, but it’s now held at the largest venue in Brighton. They must be doing something right! The conference takes place right on the seafront, at the Brighton Centre. People quite literally fly in from around the world, with last year’s event apparently hosting people from 40 different countries! We had a great time at last April’s conference. There were dozens of practical talks, with lots of advice to take away. With multiple conference tracks, there’s something for everyone! For more info, please go to www.brightonseo.com. We understand there’s over 2,000 people on the wait list at the moment. But we have two tickets to giveaway, either individually, or as a pair. The tickets are for the Friday conference, which gives you access to all the conference tracks. According to BrightonSEO, these sold out in under five minutes, so they’re highly in demand! If you want a ticket, please enter your details in the form below by the deadline of Wednesday, 28th March at 5pm. We’ll pick the names out of the hat and let the winners know by 2pm on Thursday. Thanks to everyone who entered. This competition is now closed! The winner is Steve from Grosvenor Technology – congratulations!